Some mistakes can change your life forever. For Matt Hunter, that mistake came in one terrible moment when his attempt to help a friend and stop a fight resulted in an accidental death. Matt was convicted of manslaughter and sent to prison. Time that his peers spent in college, Matt endured behind bars. Coben and Brick....How could you not listen?!! To all appearances, Dan Chase is a harmless retiree in Vermont with two big mutts and a grown daughter he keeps in touch with by phone. But most 60-year-old widowers don't have multiple driver's licenses, savings stockpiled in banks across the country, and a bugout kit with two Beretta Nanos stashed in the spare bedroom closet. Most have not spent decades on the run. The 'old man' is not old! As a sixteen-year-old, Tessa Cartwright was found in a Texas field, barely alive amid a scattering of bones, with only fragments of memory as to how she got there. Ever since, the press has pursued her as the lone surviving "Black-Eyed Susan," the nickname given to the murder victims because of the yellow carpet of wildflowers that flourished above their shared grave. Tessa's testimony about those tragic hours put a man on death row. When Nick Hansen sees the young woman at the grocery store, his heart stops. She is the spitting image of his college girlfriend, Marissa Minor, who died in a campus house fire 20 years earlier. But when Nick tries to speak to her, she acts skittish and rushes off. The next morning the police arrive at Nick's house and show him a photo of the woman from the store. She's been found dead. Bit of a soap opera, but I used to watch those. Suburban New Jersey Detective Napoleon "Nap" Dumas hasn't been the same since senior year of high school, when his twin brother Leo and Leo's girlfriend Diana were found dead on the railroad tracks - and Maura, the girl Nap considered the love of his life, broke up with him and disappeared without explanation. For fifteen years, Nap has been searching, both for Maura and for the real reason behind his brother's death. And now, it looks as though he may finally find what he's been looking for. 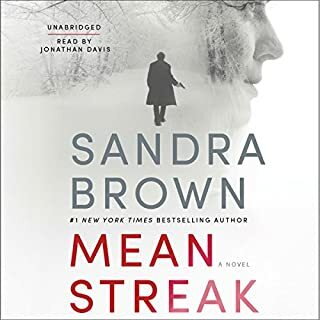 When Maura's fingerprints turn up in the rental car of a suspected murderer, Nap embarks on a quest for answers that only leads to more questions - about the woman he loved, about the childhood friends he thought he knew, about the abandoned military base near where he grew up, and mostly about Leo and Diana - whose deaths are darker and far more sinister than Nap ever dared imagine. ©2017 Harlan Coben (P)2017 Brilliance Publishing, Inc., all rights reserved. 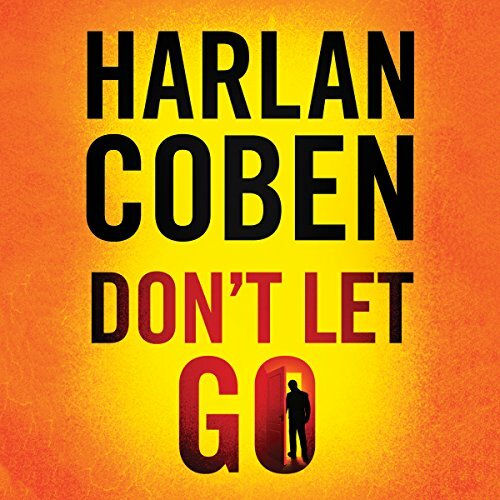 Like a few other reviewers I too was a little taken aback by this new book by Harlan Coben. Generally his books are suspenseful, shrouded in mystery and appearing almost hopeless but with resolution and a happy ending. This book has suspense and mystery but the ending is definitely not what I was expecting! I agree with reviewer Wayne Mathews, NC that this book requires more than one listen to appreciate it. It is a dark novel (which I do like) and I have to say the ending was a little surprising. I don't want to spoil this but the protagonist is willing to give up a lifetime of working for a relationship 12 years ago. 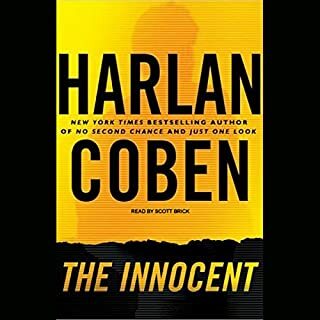 Anyway, I do like and Recommend this book, however if you've never read anything by Coben I would recommend starting with a different book maybe FOOL ME ONCE or THE INNOCENT. Steven Weber does an excellent job narrating. 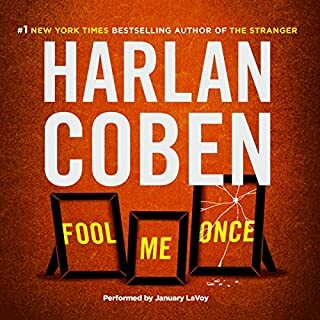 I've listened to quite a few of Harlan Coben's books over the years and while most of this book is classic Coben, it's a bit of a departure for him as well. In his other standalone mystery books, the mystery itself is usually the main character. Sure, there are characters, but quite often it's the mystery that plays the star. This was the first time for me that Coben's main character(s) was really the star of the show. He did a better job developing Nap before everything went topsy turvy than he had in any of his previous standalone mysteries. I enjoyed this one from beginning to end and I think anyone looking for a good mystery would too. I'm a long time fan of Harlan Coben and I have copies of all 30 of his novels (17 Audible edition and 13 dead tree editions). Much of Don't Let Go caught me by surprise because it did not sound like a Coben novel, so I listened to it twice. His inclusion of three horrible similes including one to open the book made me wonder if he is copying the style of James Lee Burke. The novel is set in the present, but the protagonist lapses frequently into talking to his twin brother who died 15 years ago while a high school senior. Dark stand alone books are not unusual for Coben, but this story is the darkest he has written. With this novel it is clear that Harlan Coben is intentionally expanding his horizons; he is experimenting. The publisher's summary sets up the plot nicely, so I will not repeat any of it. Steven Weber is not a very experienced narrator but he does a great with Don't Let Go as he has done with his other narrations. After listening this novel the first time I was tempted to write a 3 star review which would have been the lowest I have rated any Harlan Coben novel. The second listen improved my evaluation of the novel. People who enjoy very, very dark novels, especially psychological thrillers will probably like this one. Steven Weber is an OUTSTANDING narrator, he did the best he could with this lame material. 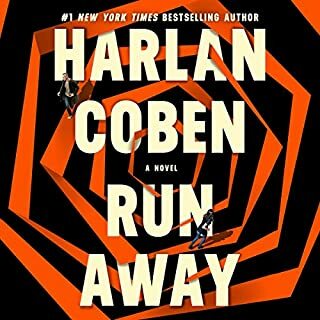 I adore Harlan Coben but this book felt so &quot;phoned in.&quot; Nap was a poor imitation of Myron with none of Myron's endearing posse. The characters were so undeveloped and plot was so thin and SO unbelievable. It seems like something Coben would actually mock in his own prose. As in &quot;come on now...are we really supposed to believe that?&quot; So bummed, I was really looking forward to this one! Bring Myron back please!! Harlan, I love you but not this book!! My rating is a bit misleading because I hated this book. If minus zero stars were available that would have been my first choice. This book feels like it was written under a contractural obligation (or diruess) because everything but the kitchen sink was thrown into the plot, with the hopes we will all get dizzy, thinking it is his normal twists and turns. I saw right through it including who the killer was and how it would end. This was an all out assault on my mystery book "sixth senses" and I didn't like it at all. As a matter of fact I hated it. Don't waste time and energy on this one. And, hate to say it but I will be skeptical next time but guess there is a first time for everything. I think because we were in the car listening as we took a road trip we kept the book going way longer than I would have here at home. I noticed more and more we talked over the narration. Probably not a good sign. We did listen to the book to the end, however. It's not a bad story, it's just not an interesting story. The story just drug on and on. We weren't the happiest with this selection. 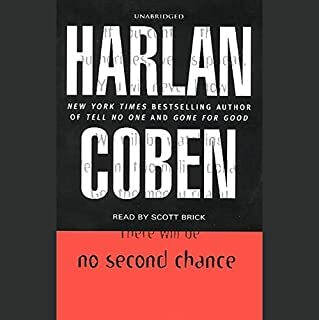 May not do Harlan Coben again as a book we can both listen to as we take our next car trip. Anyone who listens to audio books on a regular basis knows that the narrator can make or break a book. It's a roll of the dice. 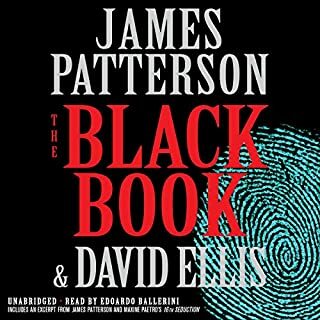 After years of listening, I have returned 6 books to Audible - every one due to the narrator. And with disappointment that I was unable to enjoy and appreciate the author's work. The best narrator that I have listened to is Steven Weber. He should train all narrators (and many of them seriously need training). Perfection. I've missed him so much! I listen to a lot of audio books at work-- very solitary job-- and I realize how much garbage I've been listening to. I could not do my work and concentrate on this book! Harlan Coben is so twisty and thoughtful with his mysteries!! I had to stop everything and JUST LISTEN. I've missed HC so much (I've read them all) and I love love love Steven Weber. I wish he could narrate my life. I listened to most of the book while driving. I listened to the last hour without doing anything else. Enough said! I've read a lot of Harlens books but this one wasn't like the others, it was kind of boring and repetitive.